It is because they understand this fundamental oneness and unity of all disease that practitioners of Nature Cure are enabled to secure such seemingly miraculous results in the treatment of disease. For instead of being appalled by the intricacy, vastness, and hopeless complexity of the spectacle of disease, opened up to the mind by the study of pathology along orthodox medical lines, and spending time in vainly endeavouring to grasp the significance of these merely superficial and extraneous manifestations of disease, which through a total lack of understanding of the matter, the medical profession calls disease—a thousand different symptoms—the Nature Cure practitioner gets directly to the root of the trouble (the fundamental causes of which are the same in every case), and by rectifying these, is enabled to effect a permanent cure. Whereas, medical confreres aimlessly flutter about the surface of the matter, attempting to patch up or get rid of symptoms, which are really the superficial effects of disease, and not the real trouble at all! 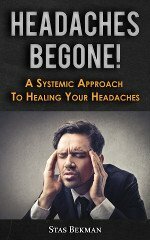 The Nature Cure practitioner deals with fundamental, unchanging causes, and pays very little heed to symptoms, except as they may guide him in locating the actual seat of the trouble (which is always very deep within the system). The medical practitioner deals merely with the symptoms themselves, looks to externals for causes, and remains blissfully unconscious as to the very existence of the real underlying factors involved. The result is that under orthodox medical methods of treatment, not only is such a thing as real cure impossible in any given case, because of the neglect of the chief factors concerned, but the underlying disease-condition is yet further intensified and aggravated by this tampering with symptoms. For, not only does medical science mistake symptoms for diseases, but these self-same superficial symptoms and manifestations—which the Nature Cure practitioner uses only as guides to locating disease, and which he leaves quietly alone because he realises that they are not harmful in themselves, but really Nature’s attempts at self-healing and self-cleansing—are suppressively treated with drugs and surgery, and irreparable harm is thus done to the system by this "thwarting" of the body’s natural attempt at healing itself.